Graham Pest Control is a family run business where our customers needs come first. If you live in Aberdeen or the surrounding area and have seen evidence of rats or would like to prevent rats from entering your premises call us at Graham Pest Control for expert advice and a quick response. 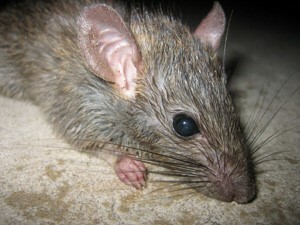 Rats are nocturnal and scavenge for food at night. They prefer empty property, farm buildings, basements, sewers, under garages and sheds but will enter occupied property at night in search of food and will cause damage or spread disease in the process. It’s often the case that the damage has been done before any signs are noticed so prevention is better than cure. Rats are neophobic, which is a fear of new things, which means areas constantly used or occupied with stock which is regularly moved or rotated are less attractive to rats. Storage areas, cellars and attics seldom visited will be much more attractive to a potential rat invasion. 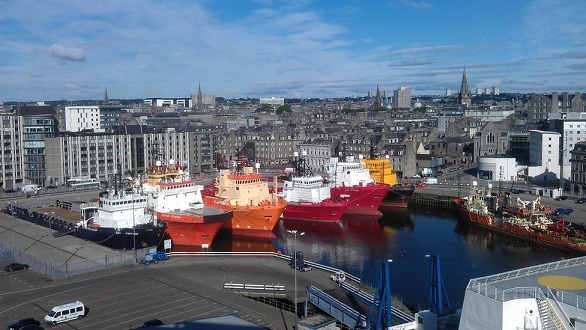 Aberdeen has the busiest harbour in Scotland with shipping links to 47 countries worldwide and is Europe’s principle marine support centre for the energy industry. When you consider that the first Norwegian rats (Rattus Norvegicus) arrived in the UK by ship and the quantity of harbour traffic that Aberdeen gets it’s not hard to see that rats can be a significant problem in the Aberdeen area. Like most busy cities with a large population Aberdeen provides ideal harbourage for rats to feed and breed. Rats are able to reproduce at 3 months old so it’s easy to see that rat problems need to be addressed quickly before they get out of hand. With the damage they can cause to property or the good name of your business a pest prevention contract or a riddance program from Graham Pest Control is a must. We have over 20 years experience of Pest Control in the Aberdeen area and around Scotland. or Freephone 0800 14 65 44.